I don’t know about you guys, but ever since all this bedbug information has been hitting the news I am scared to death to stay in a hotel, or even sit with my head against an airplane seat, just the thought of these creepy critters gets my skin crawling, I just can’t relax. Well, now I have something new to add to my obsessive-compulsive arsenal, the Bedbug Camera. 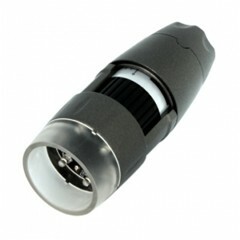 This web enabled USB microscope camera, can zoom into any object and examine it very closely using the 10x magnification or it can zoom all the way up to 300x for a much closer look. Living Rooms all around the world are shaking with fear of users actually taking swords and attacking their big screens thanks to a new hack for the Microsoft Kinect that allows gamers to play World of Warcraft without a keyboard. Just in time for New Years, Bill Murray rants about tech, in 1982! When I saw that there was footage of Bill Murray ranting about tech from 1982, I just had to watch it. After all, who wouldn’t want to hear the star of Ghostbusters, Stripes, and Groundhog Day speak about technology? I always thought he was a comedic genius, and to some extent, he still has it. This is apparently some footage for a show called Wired In, which apparently never aired. The sound quality is poor, but you can hear what he has to say about technology. His rant was completely spontaneous, and it was done as the camera was prepping for what looks like a very short clip. Read moreJust in time for New Years, Bill Murray rants about tech, in 1982! I’m sure that most of us don’t like cleaning our fridge, but certain scientists at the University of Central Lancashire have created the Ocado self-cleaning fridge. I’m not certain how the self-cleaning works. This is not to say that the Ocado fridge doesn’t have these little brushes and buffers that can clean the fridge from the inside. Truth be told, we all want that, but the technology isn’t there yet. In fact, I sounds like this whole refrigerator works on some technology that isn’t there yet. It is “nano-articulated technology” that features “millions of independently micro-tiles, which will send food products that are scheduled to be eaten to the front of the fridge”. The Ocado can scan its shelves for food and provide the user with recipes, teach the user how to cook with the foods that they have, and it will teach the user how to cook with fresh foods. I’m not certain if it is New Year’s Day by the time you read this, because I know our readers are worldwide and are in different time zones. I couldn’t think of a better time to post this than now. This picture and attached video (see after the jump) were taken at the ROBO-ONE Humanoid Helper Project in Yokohama Japan, and it would appear that they were celebrating New Year’s Day early. This is the THKR-4 robot, and it was able to serve at the party better than R2-D2 when he was forced to serve on Jabba the Hutt’s Sail Barge. As you can see, the THKR-4 is able to walk to the refrigerator, grab some champagne, and pour it. It can even do those party poppers. For an encore, it does a massage.